Some friendships fizzle out. Rachel and Clara promised theirs would last forever. They met in high school when Rachel was the shy, awkward new girl and Clara was the friend everyone wanted. Instantly, they fell under each other’s spell, and nothing would be the same again. Now they are in their late twenties, and Rachel has the television career, the apartment, and the boyfriend, while Clara’s life is spiraling out of control. Despite everything, they remain inextricably bound. Then Rachel’s news editor assigns her to cover a police press conference, and she is shocked when she arrives to learn that the subject is Clara, who has been reported missing. Is it an abduction, a suicide, or something else altogether? Imagine discovering something about your oldest friend that forces you to question everything you’ve shared together. The truth is always there. But only if you choose to see it. 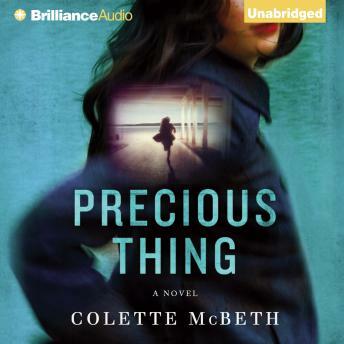 In Colette McBeth’s mesmerizing debut, the story of a friendship and a missing person investigation are expertly wound tighter and tighter from the opening lines until the final, stunning conclusion.